Purpose, principles and passion ignite at 2016 IDEA® Personal Trainer Institute East. From left to right: Trina Gray, Ashley Selman, Brent Gallagher, MS, Shannon Fable and Brett Klika. If you could go back in time and counsel your younger self on the nuances of personal training, what would you say? What have you learned, and how do you apply it? 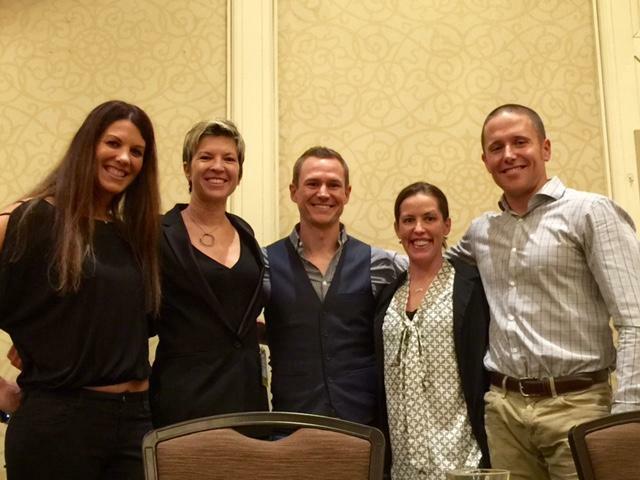 These were some of many thought-provoking questions answered by four highly successful and influential fitness professionals in the opening panel discussion, "Set Your Career on Fire," at 2016 IDEA Personal Trainer Institute East, in Alexandria, Virginia, February 25–28. This pace-setting start to a weekend of superior education explored several themes, one of them being the importance of not getting in your own way. All the panelists touched on this theme directly or indirectly and shared examples of how they succeeded beyond their wildest dreams, sometimes in spite of themselves. The overarching message: Be authentic, and thrive at being a student of life first, and then a student of your craft. The following highlights from the panel discussion—deftly moderated by Trina Gray, owner of Bay Athletic Club in Alpena, Michigan—illustrate various aspects of how to excel as a personal trainer. When asked about his unique career path, Brent Gallagher, MS, owner of AVENU Fitness & Lifestyle, in Houston, shared that there were many pain points in his career—times when he thought he had chosen the wrong path. However, he learned from a series of mistakes (among them, making six bad hires in a row) and went on to create a cohesive business with long-term staff who believe in his mission as much as he does. The key? "Lead by example," Gallagher says. "Be a first-class noticer; pay attention to the details that will lead to an exceptional experience for staff and clients." 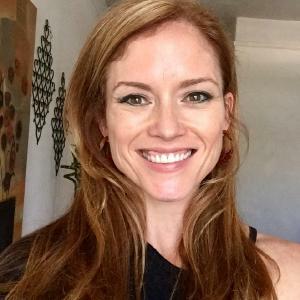 Ashley Selman, founder of Evolution Trainers, in Mountain View, California, didn't let the disappointment of not making the Olympic team in javelin distract her from following her true passion: helping other people. Instead she parlayed that bump in the road into a coaching position with Jackie Joyner-Kersee and then found her way to a personal training studio, where she was eventually given the chance to open her own business. When that opportunity expired, she took a 3-year detour before realizing she was trying to force things to happen instead of following her inner guidance. "More than anything I wanted to change lives," Selman says. "When I focused on helping others succeed, I found success." Growing up as an overweight child who loved athletics, Brett Klika, CEO of SPIDERfit Kids, in San Diego, knew firsthand about the power of maintaining perspective and creating change. "I learned [young] that you have some control over where you want your life to go," Klika says. While he knew what his passion was early on, Klika says he got sidetracked by believing he had all the answers. "My new goal is to be a perpetual student," he says. "I never want to stop learning." Shannon Fable, Colorado-based director of exercise programming for Anytime Fitness, says her entire career was a "purposeful accident." The former dancer/gymnast/cheerleader "fell into fitness" and, in hindsight, sees how she relied on keen industry observers to lead her in the right direction. "Other people saw my strengths better than I did, thankfully, and gave me opportunities that snowballed into bigger opportunities that allowed me to showcase my strengths." Gallagher: "Get out of debt so that you have the resources to support your business and staff." Klika: "Find something you do better than the average bear, package it and share it with others." Selman: "Don't undervalue yourself. Raise your rates. If you feel you need to get more education before you do this, get it now!" Fable: "Have a viable exit strategy. Think long-term and do your best to prepare for a fulfilling retirement." Catch this panel and many other deep learning opportunities at the sister event, 2016 IDEA® Personal Trainer Institute West, April 14-17, in Seattle.